Pizza and Pajamas is a Unique Gluten-Free Gift Basket Idea for College Students ! What is Pizza and Pajamas? We all remember our college days as college students. Every college campus culture is different, but the one social experience that has remained constant is PIZZA !!! College students love eating pizza in the dining hall, the dorm room, and especially late at night while studying. College Students Just Love a Pizza Party! But what if you are a college student who has celiac disease? Pizza Facts report that pizza is a $35 billion per year industry. Dominos Pizza does not offer a gluten-free pizza even though Dominos delivers more than 400 million pizzas a year. So what do you do if you are a college student with celiac disease who cannot order a Dominos pizza to eat in the dorm room? Ordering a gluten-free pizza is not as simple as dialing a phone number. If you are a college student who thinks you might have a gluten-free sensitivity, please explore the symptoms of celiac disease . Pizza and Pajamas is here to help those college students who enjoy eating pizza late at night but must eat a gluten free pizza. 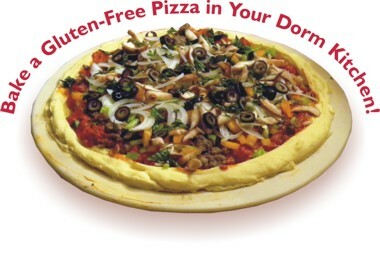 Pizza and Pajamas is baking up a special gluten free care package for college students! Now college students who have celiac disease or have a gluten intolerance/wheat allergy can be just like their college roommates and share a slice of late-night munching! 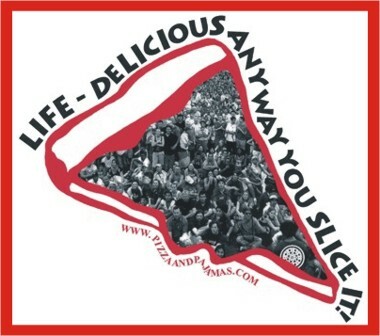 Contact us at 856-854-7078 or webslices@pizzaandpajamas.com for additional information. Pizza and Pajamas is not just a unique gift box. It's experiential marketing. Pizza and Pajamas is a content distribution platform -- whose contents can be curated and collaborated according to event and calendar marketing -- by design. 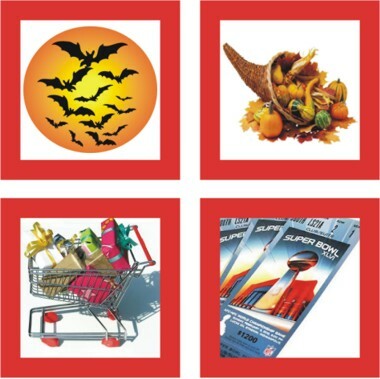 Pizza and Pajamas is the perfect unique gluten free food gift basket idea to “share a slice.” For more information, click on the following links below. For some pizza fun, click on the pies to the right.